ExxonMobil just lost a critical climate change battle even as the fate of the Paris accord remains in serious doubt. In a rare defeat for a major company, over 63% of Exxon shareholders voted in favor of a proposal on Wednesday calling on the world's biggest public oil company to do more to disclose the risk it faces from the global crackdown on carbon emissions. The proposal asks Exxon (XOM) to stress test its assets for climate risks each year. The test would include scenarios such as declining demand for oil as a result of emerging technologies like electric cars and regulations, stemming from the Paris climate accord. The vote occurred just hours after CNN and other news outlets reported that President Trump is expected to withdraw from the Paris climate agreement. It's very uncommon for these kinds of campaigns to get such a high percentage of votes, especially in the face of the kinds of intense lobbying efforts Exxon launched against this resolution. Last year, a similar proposal was backed by 38% of shareholders. "This is an unprecedented victory for investors in the fight to ensure a smooth transition to a low carbon economy," New York State Comptroller Thomas DiNapoli, who spearheaded the proposal, said in a statement. The Exxon proposal is nonbinding, meaning the company is not required to follow it. 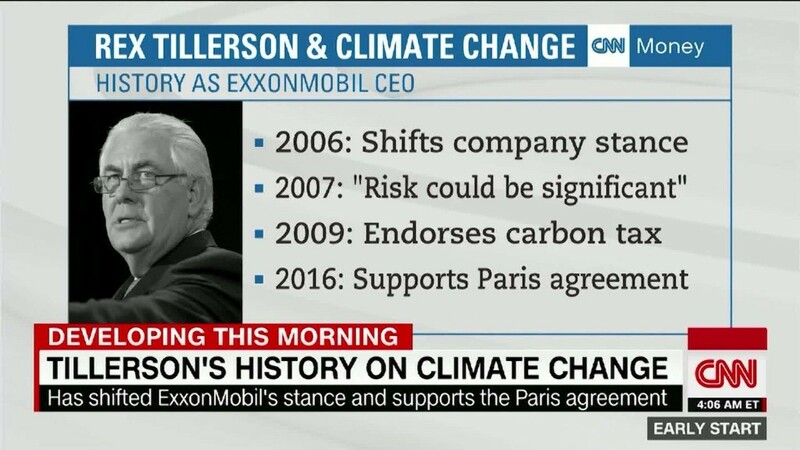 But given the strong support, it will be difficult for Exxon to ignore it will likely force the company to make significant changes. "The burden is now on ExxonMobil to respond swiftly and demonstrate that it takes shareholder concerns about climate risk seriously," DiNapoli said. The resolution calls on Exxon to ensure it "fully evaluates and discloses to investors risks to the viability of its assets as a result of the transition to a low carbon economy." After the vote, Exxon CEO Darren Woods said shareholder resolutions that received a majority of support "will be reconsidered by the board." Climate activists quickly seized on the Exxon vote as a sign that Big Oil is being forced to change its ways. "Exxon's shareholders are finally acknowledging what the company still refuses to -- that the age of oil is nearly over," Greenpeace wrote in a statement. Greenpeace launched a campaign this week attacking Exxon in Dallas ahead of its annual shareholder meeting with billboards, bumper stickers and even a blimp hovering above the city. While Exxon rejected the need to stress test its climate risk, the oil giant did not back away from its support for the Paris deal despite reports Trump may be about to dump the climate accord. "I stand by our position," Woods said in response to a question from a shareholder about the White House's deliberations. "We think the advantage of the Paris framework is it engages and involves countries from all around the world, irrespective of their economic development," Woods said. The Exxon boss added that it's a "global challenge which requires global participation."